Meat and potatoes. That’s our kind of meal. The Chevre goat cheese adds a tangy punch and these mashers go well with just about everything. 3 Scallions/Green Onions, sliced in 1” pieces. Set the Sous Vide Professional™ to 180°F / 82°C, with the rear port closed and front port fully open. Put potatoes, scallions and butter into vacuum bag, taking care to arrange in a single layer. Season with salt and pepper. Vacuum seal. Place sealed bag in circulating water bath and cook for 90 minutes. Remove the potatoes from water bath. Open and drain into colander; pour the potatoes into a food processor, add the goat cheese, and puree until smooth. If a food processor is not available, potatoes can be mashed with a fork or masher. 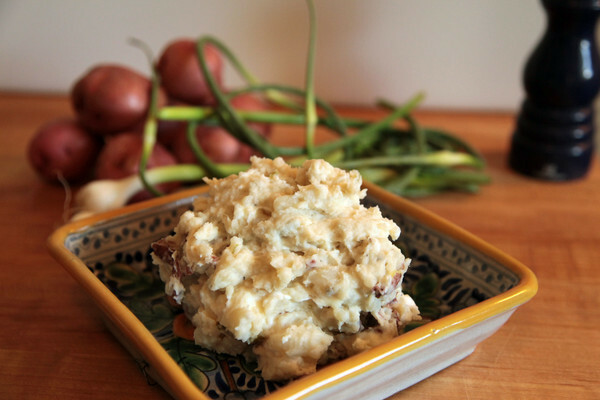 Mashed Potatoes can be cooled, vacuum sealed and kept for up to 4 days, or up to 6 months in the freezer.